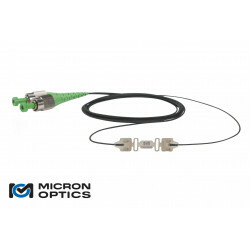 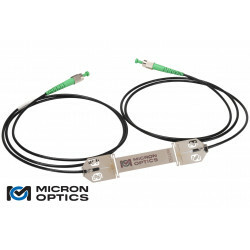 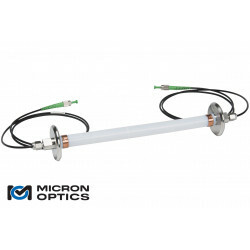 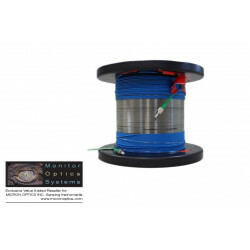 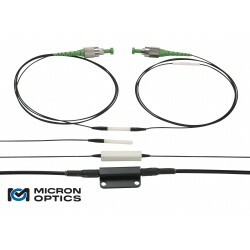 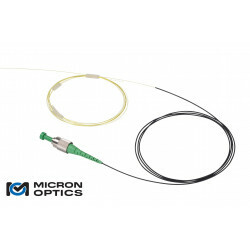 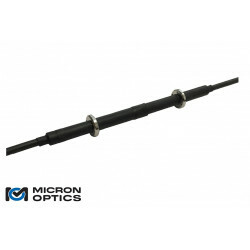 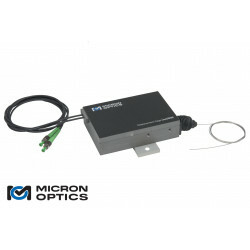 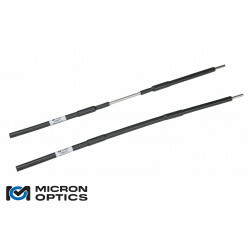 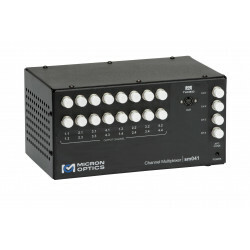 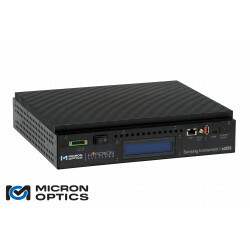 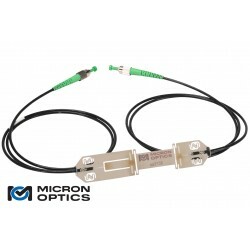 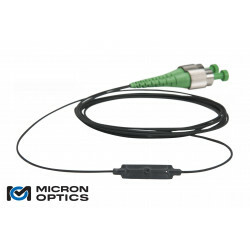 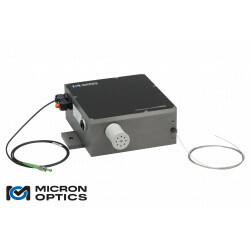 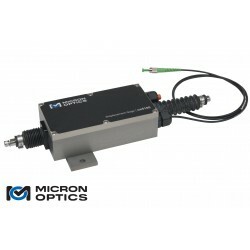 Built upon the Micron Optics x25 optical interrogator core, the sm125 Optical Sensing Interrogator features a high power, low noise swept wavelength laser, realized with Micron Optics patented Fiber Fabry-Perot Tunable Filter technology. 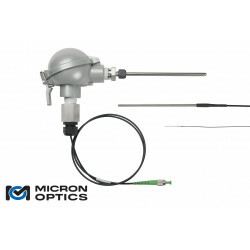 The x25 interrogator core employs full spectral scanning and data acquisition, providing measurements with high absolute accuracy, high dynamic range performance and flexible software post-processing. 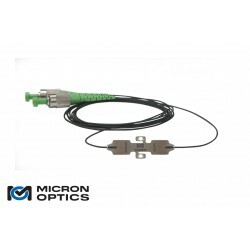 The x25 based interrogators support continuous on-board NIST traceable wavelength reference components and are ideally suited to measure many different optical sensor types, including FBGs, long period gratings, extrinsic Fabry-Perot sensors, and many others. The Micron Optics “sm – Sensing Module” platform responds directly to the user commands that controls the interrogator and outputs sensor wavelength data via Ethernet port and custom protocol. 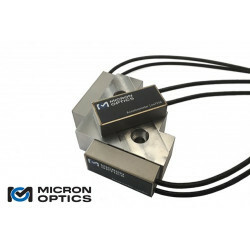 The Sensing Module platform is ideal for custom, client developed system management tools, but is equally compatible with local or remote installations of Micron Optics ENLIGHT. 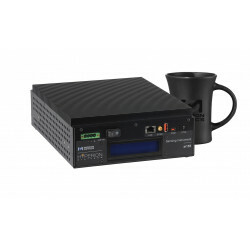 Micron Optics ENLIGHT Sensing Analysis Software is included with x25 interrogator systems and provides a single suite of tools for data acquisition, computation, and analysis of optical sensor networks. 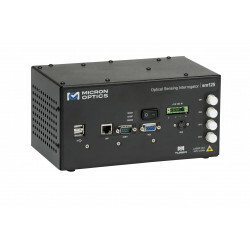 More information on ENLIGHT software can be found here.